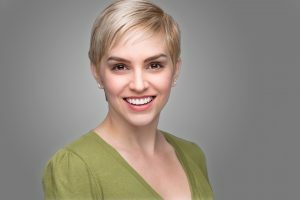 5 Benefits of Dental Crowns with CEREC in Lacey! Have you heard of the “aesthetic zone?” This is the area that people notice first about your smile: your front 4 teeth on top and bottom. Imagine accidently fracturing one of your front teeth. Would you be embarrassed to laugh and smile as normal? Most patients would be. Here at Peterson & Cammack Family & Cosmetic Dentistry, we understand how unsightly a damaged smile can be and the negative effect it directly has on your confidence. 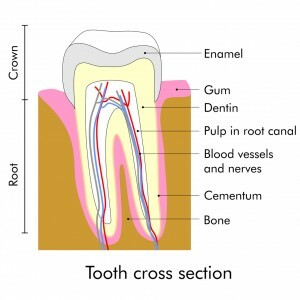 That’s why we offer same-day dental crowns with CEREC in Lacey! Comments Off on 5 Benefits of Dental Crowns with CEREC in Lacey! Your smile used to be your crowning glory, but after losing that one problem tooth, you now have a noticeable blank spot in your grin. You want to address the missing tooth, but you’re young – dentures just don’t seem right for you. What alternatives do you have? 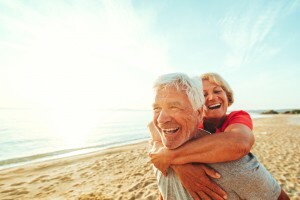 With dental implants in Lacey from Peterson & Cammack Dentistry, you can protect your remaining teeth, make your jawbone stronger, and bring back your winning smile. Your smile says a lot about you and how you feel about yourself. This summer, make sure your smile is saying the right thing with teeth whitening in Lacey. Tooth discoloration will quickly cause your confidence and smile to dull. You may be tempted to try over-the-counter whitening products, but you will quickly find they are ineffective. The only way to achieve drastic results for a summer-ready smile is with a professional whitening treatment. At Peterson & Cammack, we will help you restore the appearance of your teeth with our at-home whitening kit. Get the professional results you want from the comfort of your own home. You’ve always had a slight overbite that’s affected your confidence in your work and personal life, but you’ve never pursued orthodontic treatment because you’ve already entered adulthood. An overbite just seems so trivial to have to fill your whole mouth with embarrassing metal brackets and wires—not to mention those bright, attention-grabbing rubber bands! Thankfully, you’ve come across this post! Peterson & Cammack Dentistry offer a fast, polished straightening treatment that can get you the results you desire: ClearCorrect in Lacey. ClearCorrect braces can guide your smile in the right direction comfortably, improving your smile in a reasonable amount of time. For longer than you can remember, you’ve dealt with sensitivity in one of your molars on the lower left side of your mouth. Even though you use sensitivity toothpaste and floss often, the pain doesn’t go away. In fact, it’s been increasing lately – your tooth bothers you even if you’re not chewing or drinking hot coffee or ice water. You want to find a long-term solution to your dental malady, but you don’t know what treatment your dentist might recommend. When you talk with the team at Peterson & Cammack Dentistry, they mention that root canals in Lacey can put an end to your pain. Congratulations! We’re so happy you’ve decided to make 2017 the year that you take the necessary steps to have a more beautiful smile. Now there’s only one question to answer—what are the necessary steps? Drs. Peterson and Cammack offer a number of cosmetic dentistry treatments. Two of the most commonly chosen are porcelain veneers and teeth whitening. While there is some overlap in what these procedures accomplish, they are certainly not identical. 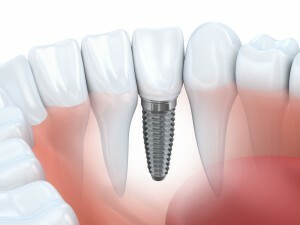 Dr. Peterson or Dr. Cammack will evaluate your smile and then consult with you in order to make the best recommendation. Whether the choice is porcelain veneers in Lacey or teeth whitening, you can be certain that your smile will be transformed. The new year is a great time to set new goals and new resolutions to start the year with your best foot forward. Why not start the year off right with a healthy, beautiful smile? As the new year begins, make a commitment to your oral health by visiting your family dentist in Lacey. Now is the ideal time to visit the dentist. Not only will you start the year with a healthy smile, but your dental benefits start over. Your will start the year with a confident smile, while maximizing your dental benefits.